The Rolex Metal Distributors (A Group Company of Rolex Alloys International) since 1976 is an international industrial distributor & stockholder of sheets, plates, pipes, tubes, bars, fittings & flanges. The Group is active in practically all sectors of industry. The customer is the focus of all activities of the company. The Group's customer oriented approach is supported by the extensive range of products - both in types and sizes - that it handles and the comprehensive service package it offers. Rolex Metal was initially set up to provide an unrivalled service, specifically for the stock items, or fast track manufacture, supplied fully tested to project specifications. The company was founded in 1976 in Mumbai India , and today has an extensive network of locations spread throughout Europe, Asia, the Middle East, Australia and North America. 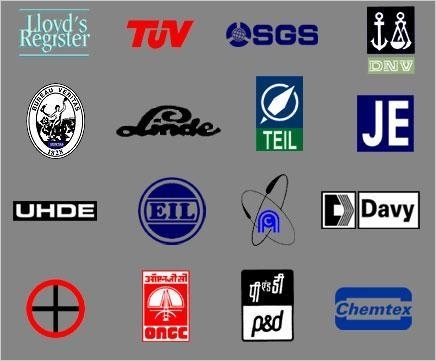 In total the group has 20 locations, the majority of which maintain inventories ranging from carbon steel, alloy steel, special steel to stainless steel products. By responding actively to the requirements of the market, the Group has grown into a specialist multinational employing about 200 staff and generating a turnover of USD 50 million. Rolex Metal supplies its products and services to companies in a wide range of sectors including the petrochemical, chemical, energy, offshore, shipbuilding, mechanical and light engineering, construction, infrastructure, agricultural, transportation, food production, furniture, pipeline installation and trading sectors. Copyright 1999-2010 Rolex Metal Distributors. All rights reserved. Any person is forbidden to take any photos or articles from this website without approval, or will be sued.